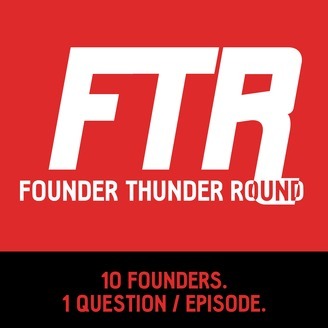 Founder Thunder Round is a new web series featuring 10 founders in each episode answering 1 question. Podcast interviews with experienced founders can be very enlightening for others building their own companies. But there are two problems: first, the episodes can last an hour long, and only contain 3 or 4 nuggets. When you’re starting a company, you don’t have that kind of time. Second, they only give one person’s experience, presented as the sole truth within that episode. You get no perspective on an issue; it’s rarely a good idea to take just one person’s success with a decision as tried-and-true advice. So, we created Founder Thunder Round. Each episode focuses in on one topic, and presents a range of perspectives from experienced founders. Each episode will be short, because you’re busy building your own company. Who’s in each episode? — Ghost co-founder & CEO, John O’Nolan — MeetEdgar founder, Laura Roeder — Zapier co-founder & CEO, Wade Foster — GitLab co-founder & CEO, Sid Sijbrandij — Mention founder & CEO, Matthieu Vaxelaire — Balsamiq founder & CEO, Peldi Guilizzoni — Printful co-founder & CEO, Davis Siksnans — Olark co-founder & CEO, Ben Congleton — Hubstaff co-founder, Dave Nevogt — Yesware founder & CEO, Matthew Bellows Your host is Mindsense (creators of Mail Pilot and Throttle) founder, Alex Obenauer. This web series is made for you, the founder too busy building your own thing to listen to hours of podcasts a week, and who is looking for a wide range of experienced perspectives to learn from. 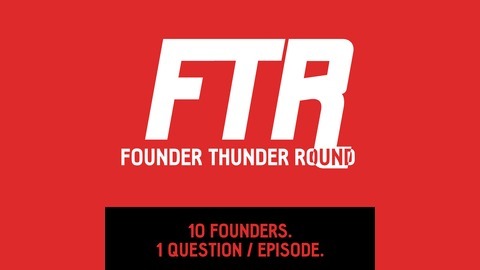 Each episode will be short, and insight packed, featuring up to 10 of the most interesting founders, all answering 1 question or speaking to the same topic. The purpose is to provide you with the actionable insights, inspiration, and authentic perspective so you can take your work to the next level. Ep.4 - What is the silliest thing you ever worried about? Ep.1: How did you know you were on to something big?